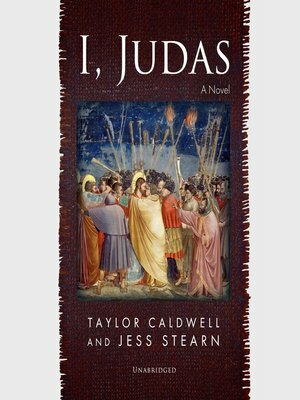 From a #1 New York Times bestselling author comes the story of Judas Iscariot-and the stunning betrayal that changed the course of history. One of the great dramas of the biblical era is brought to thrilling new life in this epic novel told from the unique perspective of Judas Iscariot himself. This is the story of Judas the myth, condemned by Dante to the most terrifying circle of Hell; Judas the man, the son of wealth and power who fought to suppress the lusts of the flesh and the sin of pride to become one of the twelve original disciples of Jesus Christ; and Judas the apostle, victim of a diabolical lie, history's arch traitor, who sold his Lord for thirty pieces of silver, and sealed his fate with a kiss. From Judas' years as the young rebel of an affluent family undone by his own idealism to his victimization by Pontius Pilate to the crucifixion and Christ's resurrection, I, Judas is one of the most powerful and revelatory works of religious fiction ever published.